Original legal owner: Ethel Mann Curtiss. It is clear that this was done for legal and insurance reasons. Her husband, Harlow C. Curtiss, was the functioning owner. The Curtiss Building at 204 Franklin St. was also in the wife's name. 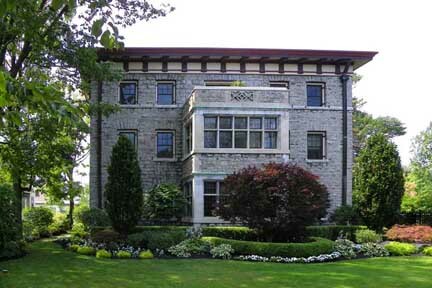 A History of the Century House: 100 Lincoln Parkway in Buffalo, New York, by Deborah Bruch Bucki, RN, Ph.D.